The Epiphone Century, as inspired by a 1966 Epiphone original, is an historic mid 60's archtop with a single P-90 single-coil. 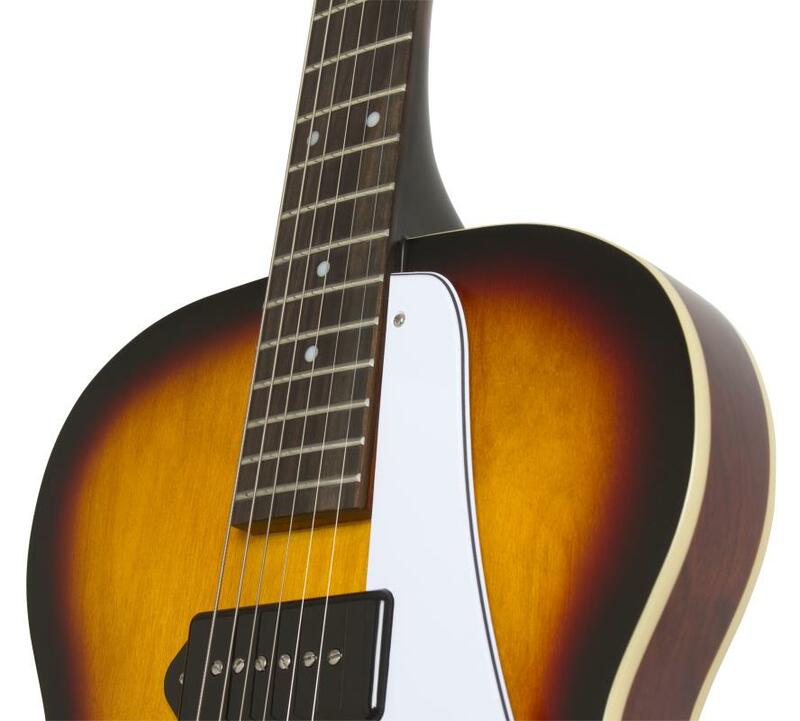 This is a faithful reissue of an Epiphone classic thinline. The Century dates back to the '30s big band era guitars, back when Epiphone was still the "House of Stathopoulo" and were turning out some of the world's greatest archtops. Later, when Epiphone and Gibson merged in '57, the Century was re-released as this style of thinline 335/Casino-esque guitar. The mid '60's Centuries are prized by collectors for their comfortable, lightweight bodies and characteristically warm and woody tone. The Laminated Maple body features a Maple top and the neck is mahogany neck with a Rounded "C" shape and a 24-3/4" scale. Epiphone have even included '60s era Replica Blue Soundhole Label and black layered pickguard with the classic 60s era Epiphone "E". This guitar is powered by Epiphone's P-90 PRO pickup. 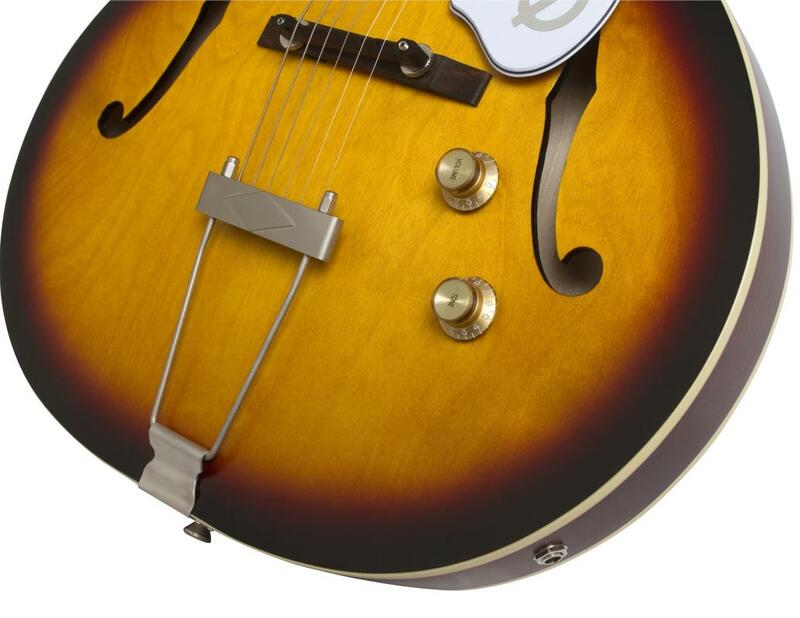 Just like the original P-90s from the '60s the Epiphone P-90 PRO is an extremely sensitive pickup that's tonally diverse and has a distinctive growl. This pick-up makes the guitar great for rock and roll, pop, jazz, country, or just about anything else you can throw at it. In historically correct fashion this pick-up features 18% Nickel Silver covers designed and tooled with new bobbins manufactured to historic dimensions, Elektrisola magnet wire, sand cast Alnico V magnets, and pole shoes manufactured using correct alloy. 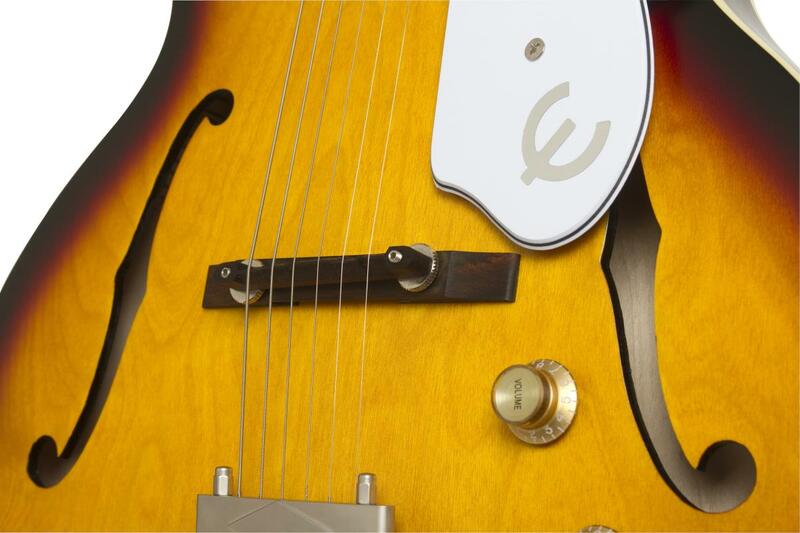 The P-90 PROs even also have tin plated brass base plates like those found in '50s and '60s era pickups. Keeping everything in tune is a set of legendary Wilkinson Vintage 3-in-a-row 14:1 machine heads with plastic Ivory buttons and the Historic Sloped Dovewing headstock, with gold "Epiphone" logo finishes up the vintage spec. 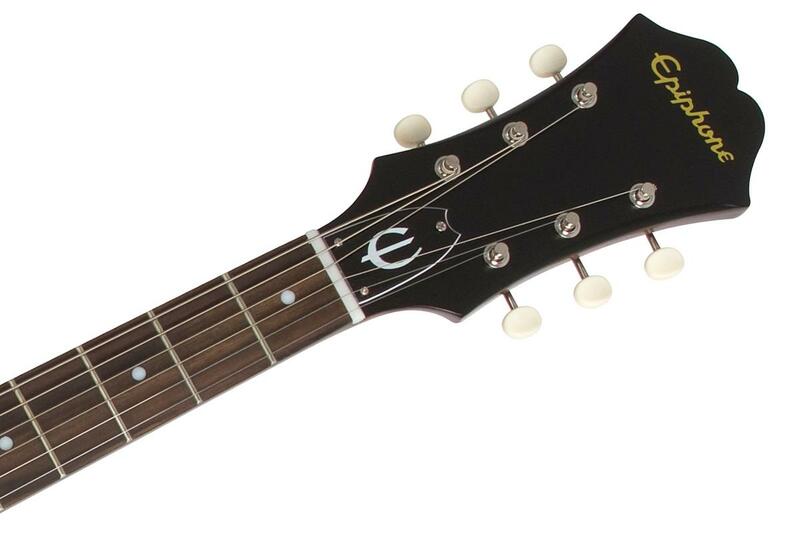 The dual action truss rod has 60s era black "Bullet" cover with a Vintage "E" in white. The floating adjustable Rosewood bridge is supported by a traditional "Trapeze" style tailpiece.